HacDC is a community organization in Washington, D.C. devoted to collaboration in the creative use of technology. Founded in 2008 by a diverse group of engineers, artists, and hobbyists, HacDC hosts free and open activities to share knowledge, skills, and ideas. A combined meeting space and workshop is stocked with specialized tools and supplies useful for the collaborative development of technological and artistic projects. HacDC is part of a global trend in amateur engineering clubs that have come to be known as “hackerspaces.” Centered on physical locations that function as shared workshops, these spaces support “makers” whose work bridges the realms of art and technology and who share a passion for putting old technology to new and creative purposes. Spaces like HacDC give new impetus to an American tradition of amateur innovation, much as ham radio societies do. These spaces have been broadly recognized in the national and international media. HacDC has been featured in the news over the years including The Washington Post in 2009 and NPR in 2013. HacDC activities can be divided into three categories: educational programs, community service, and technical and research projects. Educational programs encompass talks, classes, joint projects, and workshops held at the organization’s meeting space. All are open to the public and are free of charge. HacDC’s community service marshals the organization’s technological knowledge to benefit the surrounding community. Technical and research projects often have an engineering focus, but can encompass art projects using technology and are not fundamentally limited in subject matter or approach. If you want to help us with our mission, join us! HacDC is a District of Columbia Non-Profit Corporation, incorporated on March 26, 2008. Our file number is 280867. We were organized exclusively for charitable, educational, and scientific purposes within the meaning of Section 501(c)(3) of the Internal Revenue Code. We are a 501(c)(3) recognized public charity with EIN 26-2253467. 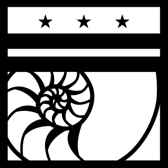 HacDC is governed by its bylaws. Members, who meet monthly, determine the corporation’s affairs. HacDC has an elected board of six officers. Officers receive no compensation for their duties. New officers are elected each year at an annual meeting. The list of members in the current board of directors can be found on our wiki. The president presides over all meetings or designates an alternate, attempts to achieve consensus in all decision-making, ensures the membership is informed of all relevant issues, and serves other duties of a President as required by law or custom. The vice president is primarily responsible for the information systems and communication processes of the corporation, coordinates the teams that manage and design those systems, drafts policies and procedures for information system use, ensures effective communication and information exchange within the corporation, and serves all other duties of a Vice President as required by law or custom, including acting when the president is unable or unwilling to act. The secretary is responsible for keeping membership records including membership and board meeting actions and petitions, sending out meeting announcements, posting and distributing copies of minutes and the agenda to the membership, assuring that corporate records are maintained, and serving all other duties of a Secretary as required by law or custom. The treasurer is the custodian of corporate funds, collects dues, makes a financial report for each meeting, assists in the preparation of the budget, develops fundraising plans, makes financial information available to members and the public, and serves all other duties of a Treasurer as required by law or custom. At Large Directors are general-purpose board members. HacDC has 2 At Large Directors.